Those newspaper types, give them an idea and they don't half run with it. 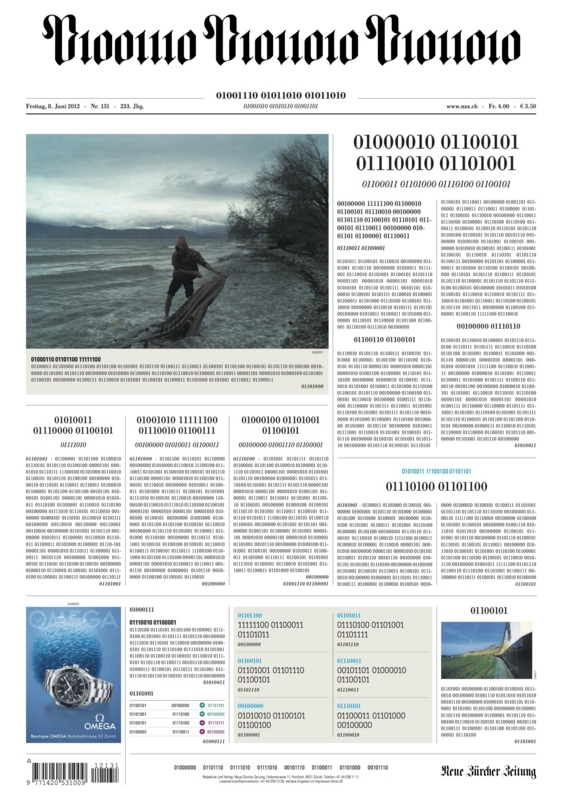 Swiss (Zurich) daily Neue Zürcher Zeitung just went digital, and to celebrate thought it'd go whole hog and print the entire front page (bar the essentials) in binary. Crazy. We've not had chance to decode it all just yet, but if there was a day to be breaking bad news to the city, today might be it.